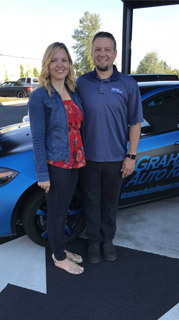 Troy and Kori Vaninetti are both long time residents of this area and have been offering complete car care to their Graham neighbors since 2006. Troy began serving people of this community back in October of 1988 where he worked as a Texaco gas station service attendant. He worked hard and gained knowledge to become an assistant technician, then full technician, lead technician, and eventually manager. Troy then decided to purchase the business from the current owners to become new owner of Graham Auto Repair in 2006. As the area grew, the need for car care excellence did, too. Graham Auto was going to meet the need with the purchase of land and eventual construction of a new state of the art facility. With the focus of the company being primarily on customer service, comfort, and convenience, the new facility was designed, built, and filled with cutting edge technology and equipment, highly trained technicians, top notch customer service staff, a thoughtful and comfortable waiting area, and a well lit and covered service entrance for weather friendly delivery no matter the season. 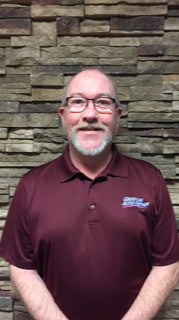 Rick has been with Graham Auto Repair since 2010. He was an ASE Certified Master Technician and multiple Major Dealership Certified Technician before transitioning to management. He is also a certified member of The Automotive Training Institute (ATI) where he stays current on trainings and leadership certifications. Rick got into the automotive industry because muscle cars got his attention and after working on them, he found that he was very good at it. Rick is originally from Birmingham, AL. He is married to his wife, Sandra, and enjoys mentoring his grandson, Isaiah. They share their household with cats, dogs, bunnies, and birds. When Rick is not at work, he enjoys fishing, growing his own food, ceramics, and reading self-reflection books. 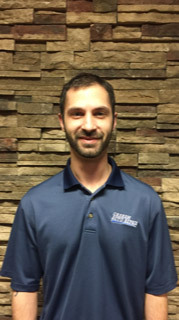 Rob has been in the automotive industry for 9 years and has been a Service Writer with Graham Auto Repair for the past 3 years. Rob has completed the advanced Service Writing courses through the Automotive Training Institute. He attends conferences and seminars to stay current in his field. He has always enjoyed working on motorcycles, cars, and all things automotive. Rob is originally from Everett, WA. He lives locally and shares his home with his two cats, Rosco and Molly. When he is not providing excellent customer service at work, he enjoys riding his motorcycle, playing guitar, and playing video games. Shannan came to Graham Auto in 2009 after meeting the Vaninetti family at the church they all attended. Shannan got her start in bookkeeping when her children were young and she was asked to help with the ASB budgets at their elementary school. Following that, Shannan worked part time for their church which is where she met Tory and Kori Vaninetti. Shannan enjoys making sure everything is in balance, and enjoys getting creative with making gift certificates, stickers, forms, etc… and enjoys making things better for those around her. Shannan was born in Bellingham, WA, and has spent most of her life in the south Pierce County area. She graduated from our local Bethel High School. Shannan has been married to her husband, Danny, for 41+ years and has two beautiful daughters and three granddaughters. When not keeping everything checked and balanced here at work, Shannan enjoys spending time with family, traveling and vacationing, camping,and reading historical fiction. Jennifer has been with Graham Auto for one year and trained and worked with customers as a service writer for the first ten months. 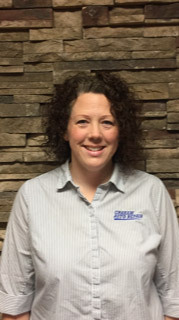 Jennifer has worked in the automotive industry her entire life and gained vast service writing knowledge while attending ATI training here at Graham Auto. She has an Associates Degree in teaching and communication, a leadership certification, and is now assisting with marketing and website maintenance here to help make the most of our customer’s online experiences. 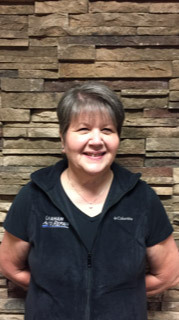 Jennifer is a native of this area and enjoys spending time outside with her adult children and young grandson. She enjoys singing at church, gardening, kayaking, camping, hiking, biking, doing jigsaw puzzles, reading mysteries, and creating metal art. 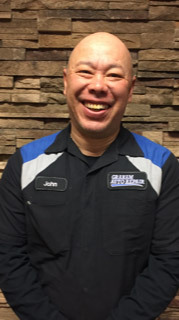 John joined the Graham Auto Repair team in 2016. John was born in Saigon, South Korea. He has been in the automotive industry for over 30 years and has vast knowledge and certifications to his name. He currently holds his Nissan, Infinity, and ASE Master certifications, as well as a Chrysler senior specialist certification. After helping his father when he was young, John entered the Marines and became an instructor at the motor transport school. John has always loved fixing things and loves the challenges that automotive repair brings. John and his girlfriend, Yvonne, enjoy living on a small farm and have a plethora of critters that call the farm home. When not tending to the chickens, goats, cats, and dogs, John enjoys cooking, hunting, fishing, and tending his garden. 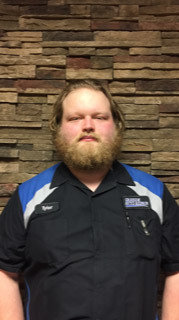 Originally from Bellevue, WA, Tyler has been with Graham Auto Repair since 2016. 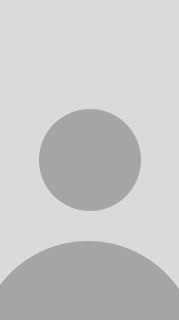 He has been in the automotive industry for over 9 years. As an Emissions Certified Technician, ASE Certified Technician, and certified in refrigerant 508/509, Tyler adds a unique set of skills to our team. He has always been a problem solver and had an interest in mechanical things and working with his hands. Tyler and his girlfriend, Shaylee, recently became parents to son, Jaxton. In addition to the new baby, they are home to a dog named Opilia, dog named Mya, and cat named Roman. When not tending to the vehicles on the job, Tyler spends his spare time shooting pool, watching football-hockey-drag racing, shooting guns, and writing music. 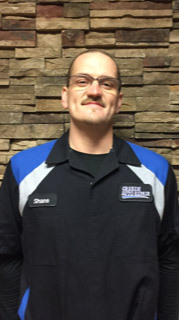 Shane joined the team here at Graham Auto toward the end of 2018 and adds his Emissions Certification and ASE certification to our well rounded team. He has been in this industry for over 13 years and enjoyed learning the trade from both his grandfather and father whom introduced him to it when he was very young. He enjoyed spending most days at the track. Shane enjoys a good mechanical challenge and enjoys problem solving and learning more. Shane is a Tacoma native and is VERY home rooted. Family is very important to Shane and he enjoys spending time at home with his wife Janine, son Jaden, and two dogs Jericho and Saydee. In his down time, he also enjoys spending time outside, hot rods, Harleys, dirt bikes...and just about anything else that takes gasoline to start. 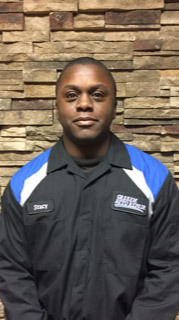 Stacy is our newest technician and is a solid member of our car care team. Stacy is originally from Merrillville, IN and is currently calling Graham home and is enjoying the atmosphere and culture here at Graham Auto. Stacy has worked in the auto repair industry for about a year and enjoys working on cars. When Stacy is not here assisting customers with their car care needs, he enjoys hunting, fishing, shooting, and playing flight simulator games. Tyler joins us on weekday afternoons from the local high school where he is a junior. Tyler has an interest in the automotive industry because he has always heard stories from his dad about how fun it is to be around an auto shop. Tyler spends his time with us by assisting the technicians with getting needed supplies and keeping the workspaces clean and organized. Tyler has lived in Anchorage and Florida and now calls Washington home. He attends the local high school and when he is not assisting our technicians here, he enjoys going to the gym, reading, and going to the range.